If you are looking to improve staff efficiency, reduce training costs and increase revenue, then Training For Success Learning Management System is for you. You do not need graphic design or technical experience to create interactive, media-rich training programmes! As an internationally recognised and quality assured provider of job focussed training programmes, we understand what it takes to accelerate the learning process, and have taken this into consideration throughout every step of development of our uniquely built platform. Our number one goal is to provide a cost-effective platform that will enhance the user experience and make life easier for everyone. Our platform helps you maximise your time by minimising repetitive tasks. We understand that the training needs of our clients vary. We collaborate with them in tailoring our platform to suit their specific needs. Our platform can be specially branded and customised for you and is designed to allow your administrator(s) create media-rich interactive training courses that accelerate the learning process. The platform is all about making life easy for managers, course designers, trainers, assessors, administration staff and learners.Managers can assign training and track the progress of their staff in seconds. Our highly experienced eLearning team of instructional and creative software developers, designers, multimedia specialists and project managers are committed to tailoring our LMS and CRM towards your specific needs, brand and budget. Our operational mantra has been “Make it Easy to Work with Us”. Our mission statement is “Working for Excellence in the Training Industry”. 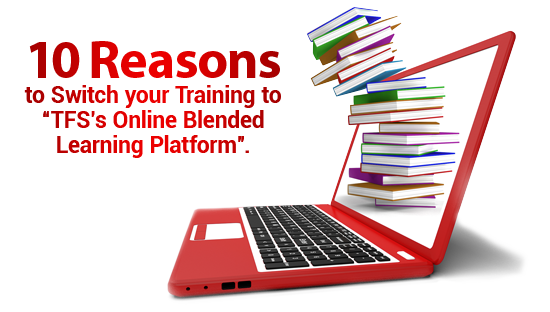 Import existing course content in seconds on an elegant interface. Upload SCORM files, word documents, PDF files, audio and videos in seconds. Build interactive online courses that provide a rich and engaging learning environment with our built in sophisticated rich text editing and images authoring tool. CRM - Manage company interactions with current and future staff and customers. Self and controlled learner registrations. 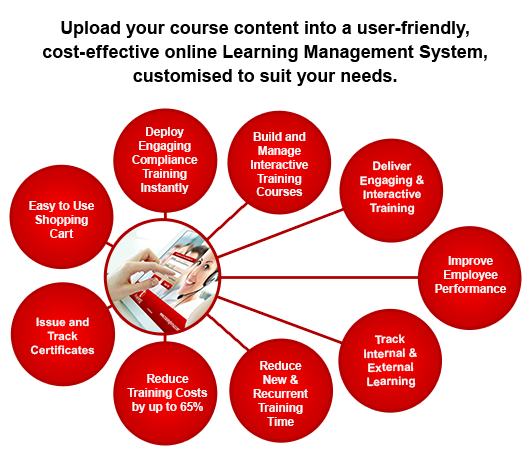 Track and automate compliance training. Learners can review their learning history and completed work. Generate Robust Reports in seconds. Monitor learners’ progress and performance with access to student records and track performance in real time. Provide real-time feedback. Create interactive exercises, quizzes, tasks, activities and exams. Set quiz benchmarks. Learners can upload assignments in seconds. Add instant messages to a global notice board or student forum. Automated skill assessments booking schedules. Create and archive learner groups and students. Allocate students to different teacher accounts. Issue, track and store student certificates. Manage QQI Key Certification Dates. Create e-mail templates and send out group email and newsletters in seconds. Generate revenue with our easy-to-use shopping cart. Allow learners to learn anytime, anywhere. This platform is fully compatible with mobile devices 24/7.